Thanks to donor support, amazing things happen every day at North York General. Celebrate a staff member or volunteer by making a donation in their honour. Support patients and families with a monthly donation. Honour or remember someone special with a donation in their honour. 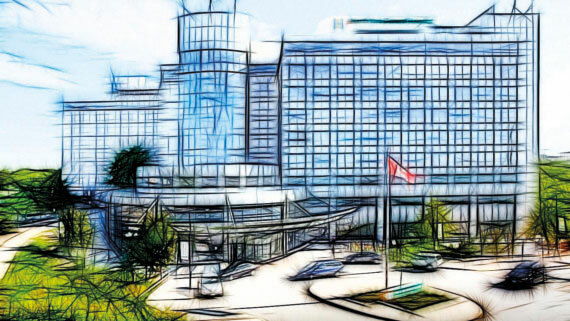 In Newsweek Magazine's comprehensive review of 1,000 hospitals in 11 countries, North York General Hospital was ranked the second best hospital in Canada and scored in the TOP 100 in the world. For 50 years, NYGH has been pushing the boundaries of what it means to be a community hospital, and visionary donors have allowed us to do it. Generous donations of $10,000 or more have the power to change how we care for patients and families for generations. Find out how your gift could make a major impact at NYGH. At North York General Foundation, it is our belief that we each have a responsibility to help our hospital care for patients from birth, to end-of-life, and everything in between. The funds we raise are helping North York General Hospital revolutionize health care in our city – right here in your own backyard.